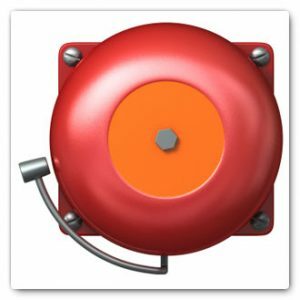 Your commercial fire alarm systems are a crucial first step in any fire protection program you create. Even when you think that your building doesn’t contain any obvious fire hazards, that doesn’t mean you are completely protected against the possibility of fires. Your commercial fire alarm systems are a crucial first step in any fire protection program you create. After all, prevention is just as vital as protection, but neither of these measures will work out without the necessary amount of preparation. No matter how big your company is you should realize that the two most important assets you need to protect are your cash flow and the safety of your employees. If you aren’t ready for an emergency situation involving a fire, you could be held liable. This situation will more than likely damage your reputation and potentially expose your workers and visitors to unnecessary risk. Testing your commercial fire alarm systems ensures that they will work when needed. Besides, you’ll get lower insurance rates along with coverage against potential complaints which could turn into a messy legal battle. It’s essential that you inspect all of the preventative measures designed to stop or contain a fire so you’ll always have insurance when you need it. Business insurance is intended to protect your company from all sorts of mishaps and troubles. Paying for repairs and replacement equipment after a fire can cost a king’s ransom. But your insurance provider will be disinclined to pay for damages if you can’t assure them that you did everything you could to ensure your fire alarm systems were fully functional. Accommodate whatever request your insurance company has because if you aren’t covered by insurance, you might end up losing your business license. A faulty or inconsistent fire alarm system causes as many headaches as a system that doesn’t work at all. This situation isn’t only annoying to you and your employees. There are so only so many times you can run a fire drill, and the false alarms don’t amuse the fire department. Thus, by testing your fire alarm systems throughout the year, you can decrease the likelihood of nuisances. You should do whatever it takes to keep your company as safe as possible, and having your fire alarm systems tested rigorously will help you achieve that goal. This entry was posted on Tuesday, April 10th, 2018 at 9:20 am. Both comments and pings are currently closed.